The Domaine Poutrincourt’s territory is a wildlife environment of superior quality and is populated by black bears of all sizes. Our tree stands are located in baited areas, which greatly increases the success rate. 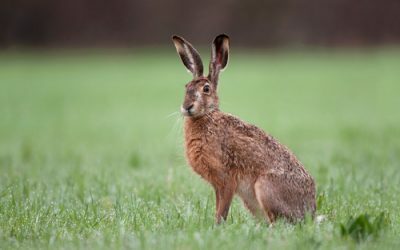 The hunting season is in spring, during the months of May and June. Enjoy the season of renewal and treat yourself to an unforgettable hunt at Domaine Poutrincourt! Magnificent moose roam the woods of our outfitter, a preserved ecosystem rich in natural resources. We are very proud of our hunter’s success rate. 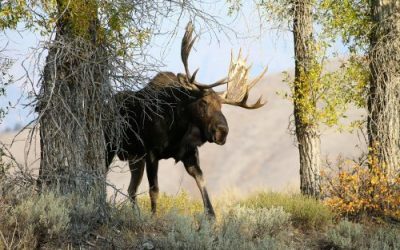 The moose hunting season normally begins mid-September and ends mid-October. An encounter with this majestic animal on the enchanting hunting territory of Domaine Poutrincourt is sure to leave happy and satisfied. Dreaming of a simple and successful hunt in the intimacy of the great forest? Discover the pleasures of small game hunting with family or friends. A hunt accessible to all, from beginner to expert, and an ideal opportunity to introduce youngsters to the pleasures of the hunt. Among the game species that abound in the Domaine Poutrincourt, you will find hare, ruffed grouse, and spruce grouse. See catch and bag limits. 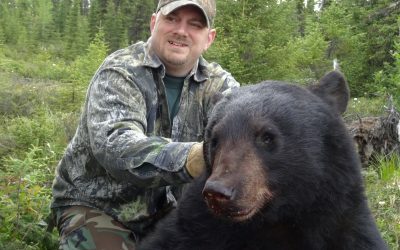 For more information about the hunting season and licenses, visit the bilingual website of the Ministère de la Faune, des Forêts et des Parcs.